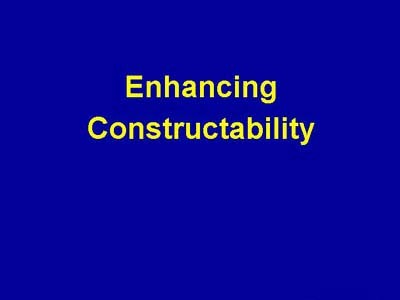 This section of the presentation describes using silica fume to enhance constructability. Contractors can take advantage of the properties of silica-fume concrete to expedite projects or to achieve properties that might otherwise be impossible to achieve. Don't forget that using silica fume in this role will also improve the mechanical and durability properties of the concrete as well as enhance the constructability.